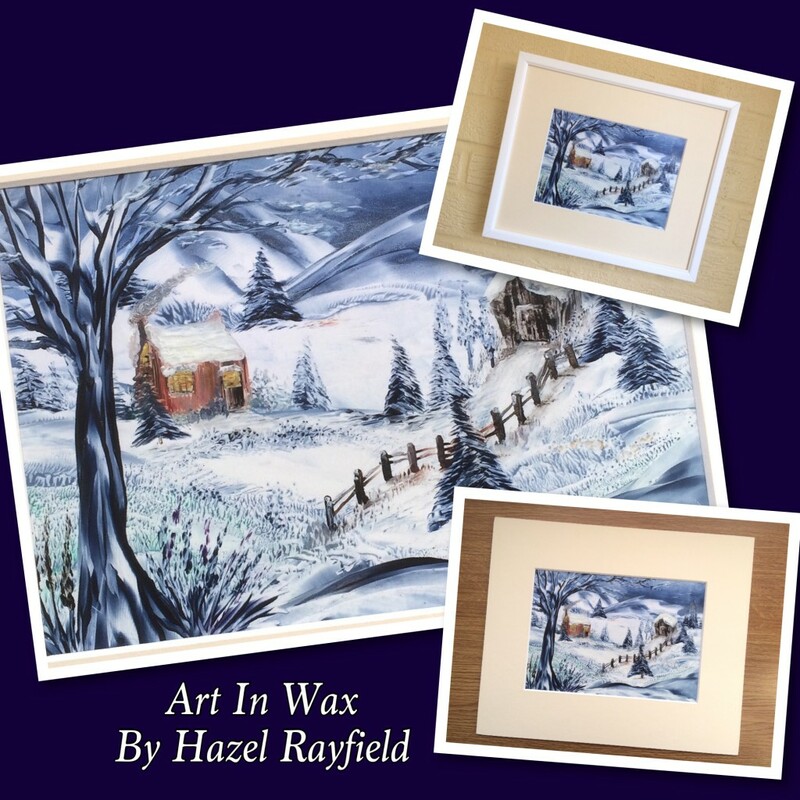 This winter scene is an A5 painting mounted in a 12 x 10 inch cream mount. It is for sale at the time of this blog post – £35 including UK postage. Contact me to arrange to buy. The frame is NOT for sale. The painting comes mounted in a quality cream mount with backing board attached. This painting would make a great Christmas gift for someone who likes unusual unique things. 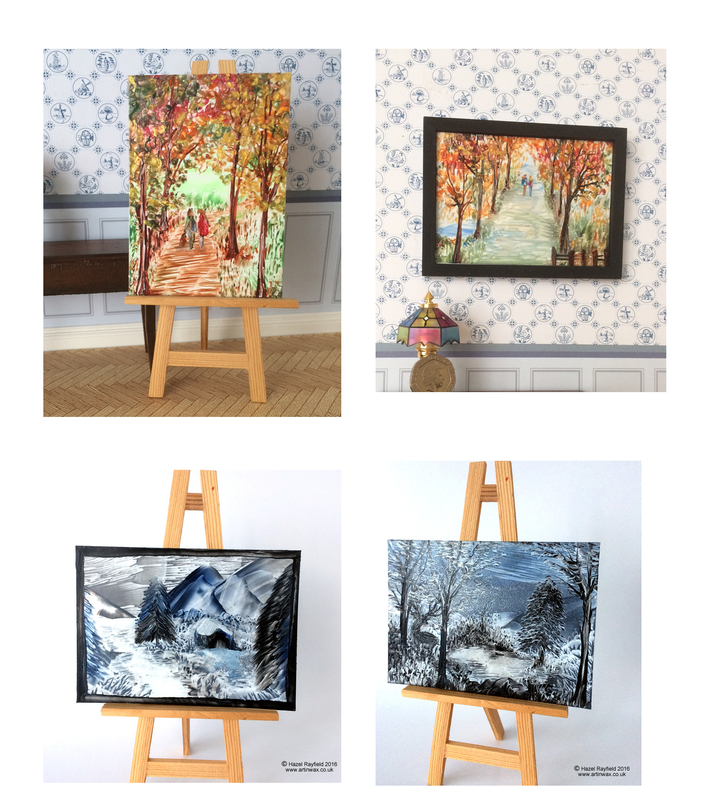 From feedback I get from my Art I know that it often given as a gift, many people come back for more after they buy a piece of my art. I have got to know some of my collectors over the years and they tell me that my work of often a talking point as people haven’t heard of Encaustic Art or hot wax painting and are interested to know more. Likewise I am told they make great gifts, again as they can be a talking point and that they are often something the gift receiver likes as it is unique and original. 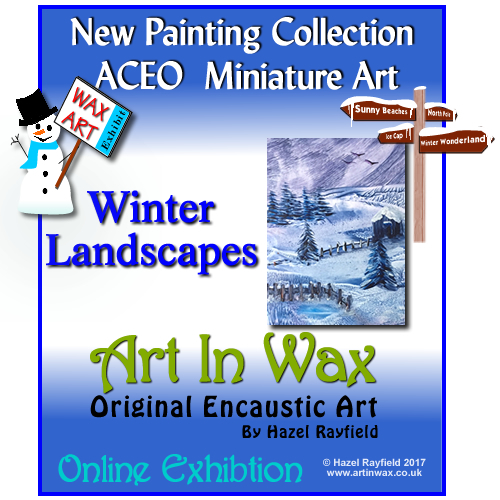 Each is ACEO size, which is a collectible art form, but I often sell this size to dolls House Collectors too …..